Dear El + Em: Pumpkins, Pumpkins, Pumpkins!!! 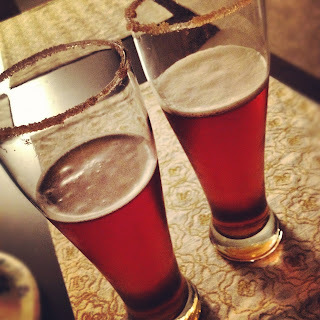 I also thought I would share one of my favorites....pumpkin beer! I'm actually enjoying one of these bad boys right now while watching the Yankees game! yum, pumpkin beer. I'm loving the 31 days of pumpkin, thanks for sharing.